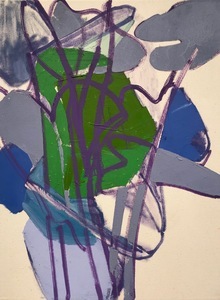 ERIC DEVER: PAINTING IN A HOUSE MADE OF AIR, features brilliantly hued, large-scale paintings, which emerged when Dever was planting a garden at his Water Mill, New York, studio. For more than a decade, Eric Dever purposefully redacted color, using a limited palette: white for four years, white and black for two years, followed by white, black and red. 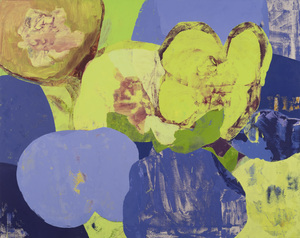 “I found myself taking cues from flowers as they blossomed and color entered my paintings.” However, instead of exploring just one color at a time, Dever embraced the entire spectrum. 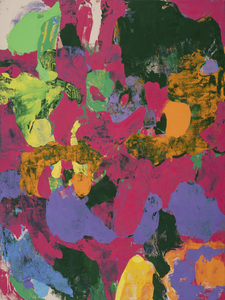 Initially he used mostly mixed tints, but with this epiphany of color, he began creating new mixed hues. 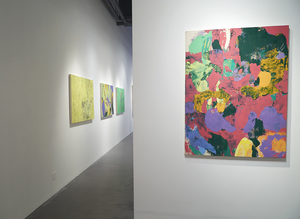 The exhibition runs from January 10 through February 9, 2019 with an opening reception on Thursday, January 10 from 6 to 8 pm. 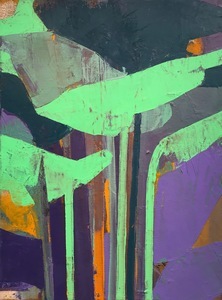 The shift in his art occurred when he let go of the square canvas and moved to rectangular formats that loosened up his compositions, as “there was no longer a central area of interest, but multiple areas of concentration.” When the works are placed together, a remarkable variety both in hue and composition is revealed. Dever coupled his new palette with his awareness of the yogic notion of the chakras—seven energetic centers in the human body where matter and consciousness meet—in which he finds a parallel to the visible spectrum. 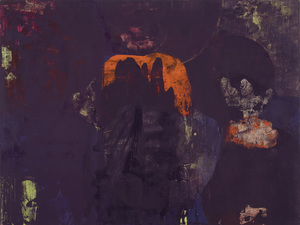 He also often exchanges shapes among works, using a monoprint process of painting onto a surface, which he then transfers to canvas. 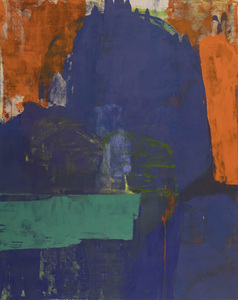 As art critic Jennifer Landes observed, “these repetitions of forms and other planned elements, together with his more gestural painting of the rest of the canvas, creates a charged tension between spontaneity and organization . 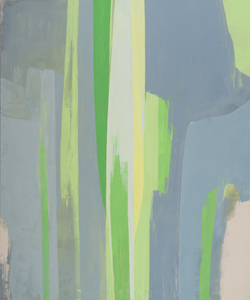 . . one of the ways de Kooning worked.”1 Despite his coastal surroundings, Dever is drawn more to landthan sea, and his expression of processes of organic life can be linked to wide ranging examples from throughout the history of art from Roman wall paintings to illustrations of botanical specimens to arabesques and beyond. 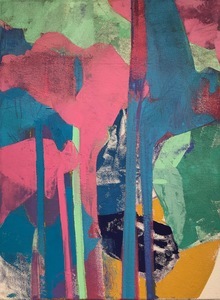 Born in 1962 in Los Angeles, Eric Dever studied at the Otis College of Art and Design on a full scholarship and graduated from California Lutheran University in 1984. 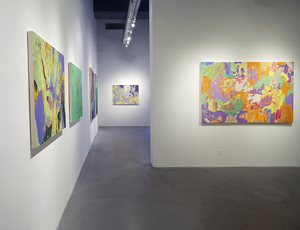 Two years later, he began graduate studies at the New York University Steinhardt School, working under Marcia Hafif and Peter Campus, completing his Master of Arts in 1988. In the early 1990s, he worked part-time in I. M. Pei’s architectural firm while exhibiting his art nationally and internationally in academic and gallery venues. 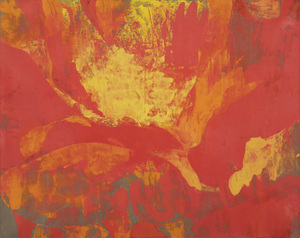 In 1991, he was featured in a solo exhibition at the Hudson River Museum, New York. A portion of his portfolio was published as editorial illustrations in The New Yorker, New York Magazine, Harvard Business Review, and St. Martin’s Press. 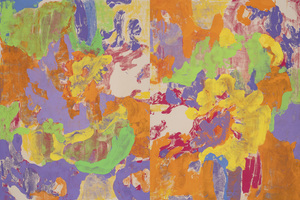 In 2007, he was commissioned to create a suite of eight white paintings for The Francis J. Greenburger Collection, curated by Elisabeth Akkerman. 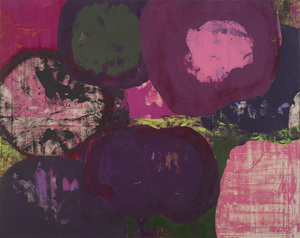 In 2010, Dever added black, widening the range and force of the work. His compositions of this time were largely geometric and included grayscales and circles, graded from dark to light. 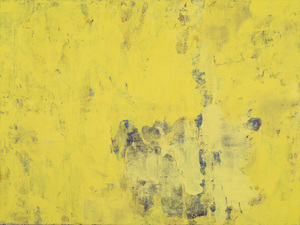 These works were exhibited in the 2011 exhibitions, Grey Matter at the Painting Center in New York, and Doucement at ParisCONCRET. 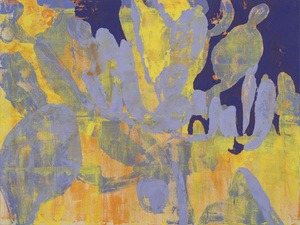 In August 2012, Dever’s large oil on burlap painting Cloud Life was featured on the stage at Guild Hall, East Hampton, New York, accompanying a play of the same name by playwright Joseph Pintauro as part of “The Painting Plays.” Pintauro admired the struggle he saw in Dever’s art “between reductive color minimalism and the artist’s morphing into representation.”2 In the same year, Dever began testing prepared red hues, arriving at Napthol Scarlet, a modern replacement for Vermillion. 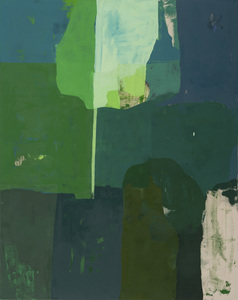 He worked through some of his earlier compositions exploring relative color, following the approach of Josef Albers. 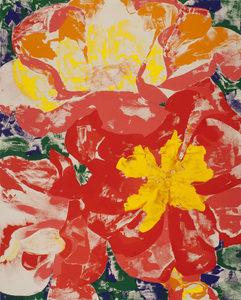 In these works, variations on red, black and white, background painting incrementally became foreground, displaying a pulsing metallic quality made visible as similar values of opposite tones were placed alongside each other. Color itself became Dever’s material. 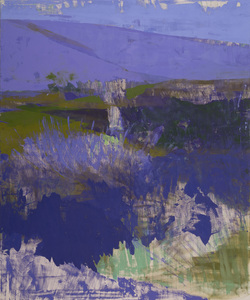 In 2012 at the invitation of artist Robert Dash, Dever inaugurated the first painting classes at the Madoo Conservancy, Sagaponack, New York (critiqued by Dash). 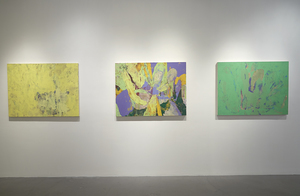 Dever continues to teach, presenting innovative classes and workshops at the Parrish Art Museum, Water Mill, New York, where he has also given talks on the Parrish’s permanent collection and recent exhibitions, including Parrish Perspectives: Art in Context and a collection exhibition of James Brooks. 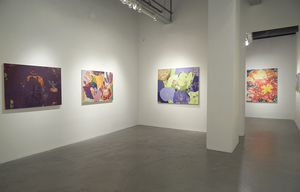 Recent solo exhibitions include Berry Campbell, New York, 2014; Molloy College, Rockville Centre, New York, 2014; New York University, Kimmel Galleries, New York, 2015-2016; Loyola Marymount University, Los Angeles, California, 2017. 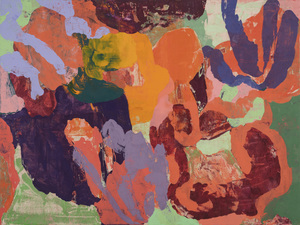 Dever’s work was included in the permanent collection exhibition, Parrish Perspectives: Art in Context, curated by Alicia G. Longwell at the Parrish Art Museum, Water Mill, New York, 2017. 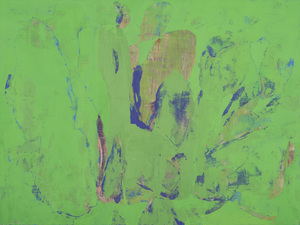 His paintings are currently on view in the U.S. Consulate General in Hong Kong and Macau, Art in Embassies, Department of State exhibition, 2016-2019, and were featured in a lecture by Gail Levin, Distinguished Professor of Art History, Baruch College and the CUNY Graduate Center, American Art and India: Cultural Exchange Among Artists of India and the United States, at the Pollock-Krasner House and Study Center, East Hampton, New York, 2016. 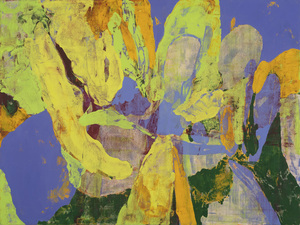 Dever’s paintings have been shown in solo and group exhibitions in many venues, including 80 Washington Square East Galleries, New York University, New York; Arkansas Art Center, Little Rock; Arizona State University, Phoenix; Art in General, New York; Elaine Benson Gallery, Bridgehampton, New York; The Buddy Holly Center, Lubbock, Texas; Centre d’Art et Rencontres, Saint-Just deBélengard, France; City National Plaza, Los Angeles, California; Eastern New Mexico University, Portales; Grand Valley State University, Grand Rapids, Michigan; Guild Hall Museum, East Hampton, New York; Heckscher Museum of Art, New York; Hudson River Museum, Hastings on the Hudson, New York; Islip Art Museum, New York; Los Angeles County Museum of Art; Marymount University, San Pedro, California; Ohio State University, Marion; The Painting Center, New York; ParisCONCRET, France; Parrish Art Museum, Water Mill, New York; Sag Harbor Whaling and Historical Museum, Sag Harbor, New York; Spaces, Cleveland, Ohio; and the Whitney Museum of American Art, New York. 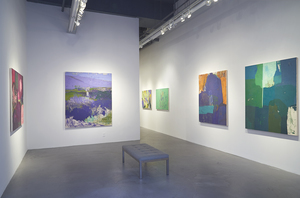 Eric Dever’s public collections include the Centre d’Art et de Culture, Château d’Escueillens, Saint-Just de Bellengard, France; Division Street Editions and The Reutershan Educational Trust, Sag Harbor, New York; The Francis J. Greenburger Collection, New York; Grey Art Gallery, New York University; Guild Hall Museum, East Hampton, New York; New York City Department of Parks and Recreation, Fish Bridge Park; Parrish Art Museum, Water Mill, New York; and numerous corporate and private collections including the Coca Cola Company, Atlanta, Georgia; Mark Hampton; Sub Zero Freezer Company, Madison, Wisconsin; and Lady Juliet and Somerset de Chair. 1. 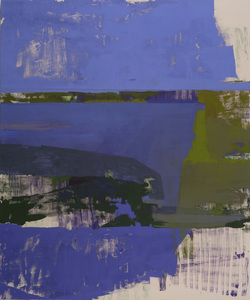 Jennifer Landes, “Eric Dever: A Year of Discovery,” The East Hampton Star. April 6th, 2017.